Cologne have terminated the contract of sporting director Jörg Schmadtke by mutual consent, the club confirmed on Monday. The decision came after intensive talks in which the two parties expressed a difference of opinion regarding the "sporting direction" of the club. 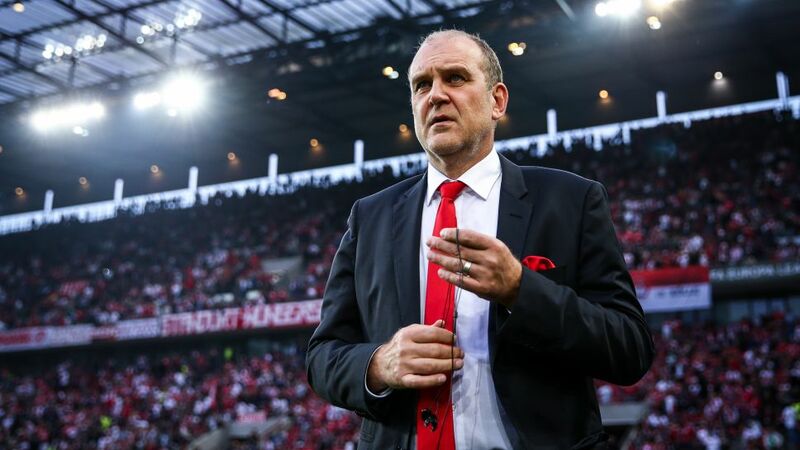 "Jörg Schmadtke has done a very good job for Cologne," commented club president Werner Spinner. "He led us back into the Bundesliga and played a big role in our return to European competition after a 25-year absence. We're very grateful to him for that and he deserves credit. We wish him and his family all the best for the future." Schmadtke, who had a contract until 2023, thanked the club for their "full backing and cooperation" during a memorable four-year tenure. After gaining promotion as Bundesliga 2 champions in 2015, Cologne have enjoyed 12th-, ninth- and fifth-placed finishes in the Bundesliga. The Billy Goats are winless after nine league matches so far this season, however, and currently sit bottom of the standings. Cologne face Hertha Berlin in the second round of the DFB Cup on Wednesday, before taking on neighbours Bayer Leverkusen in the Bundesliga at the weekend.